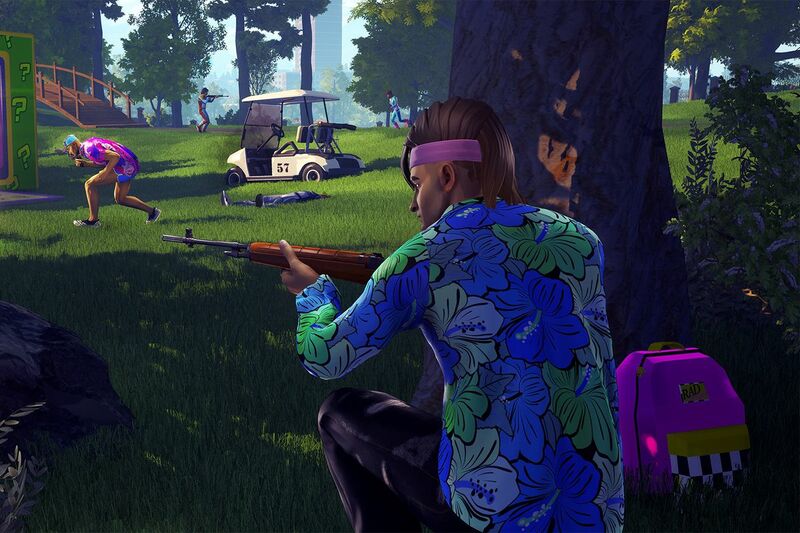 So Radical Heights is in very early access, and it looks like the bushes may not be working completely as intended. 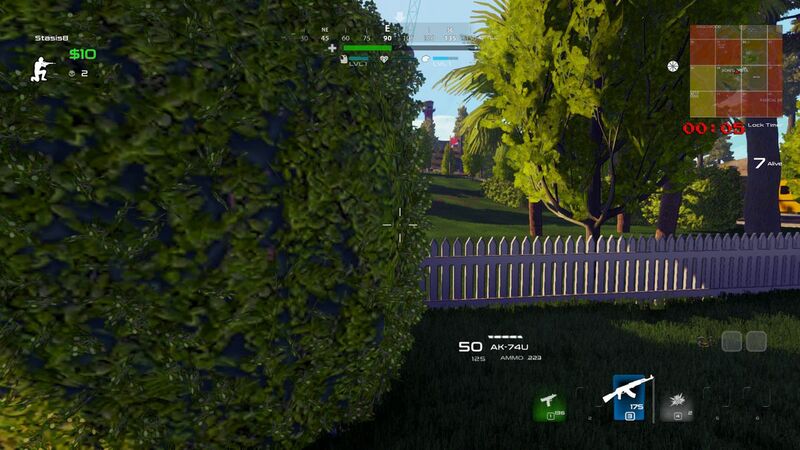 Games like PUBG have foliage that make it easier to hide, but Radical Heights currently has bushes that you can clip into to become completely invisible. I stumbled onto this by accident during a recent round, and cheesed my way to the number four slot on the server. You can’t hide in all the bushes, you just need to kinda push into the taller ones you see to find out if they’re going to let you in. And once you’re in, you’re completely invisible. Take a look. If you are facing the wrong way, you might get a bit of a foot sticking out. But it’s easy to swivel either to the right or the left to disappear completely into the bush. So if you’re using this trick, and I doubt it’s going to last very long, just make sure that your entire body is inside the bush, and enemies will run past you, completely oblivious that there’s anyone where. Then you can step out and blast them from behind. 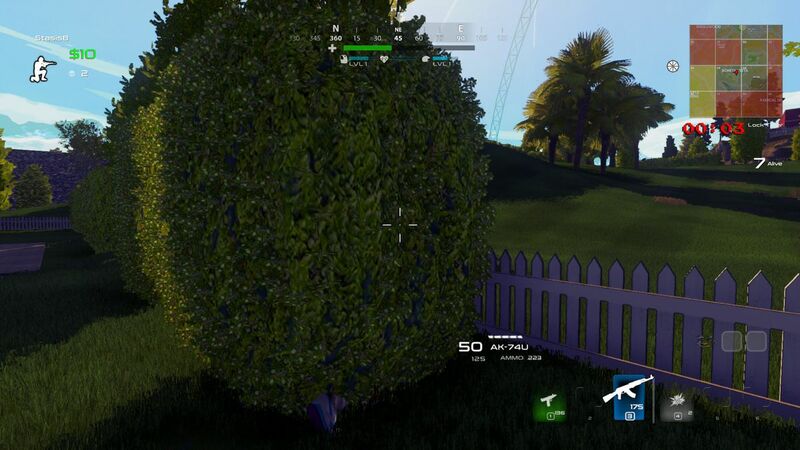 Fortnite has a bush that’s an item pickup, but this is just … standing inside bushes to disappear. It doesn’t exactly seem intentional, but right now it’s a pretty easy way to lose someone who may be chasing you down, or just to lie low for a bit. You won’t gain money or items, and you still have to move with the blocks as they’re removed from play, but this is still a helpful strategy. Haven’t tried Fortnite: Battle Royale yet? 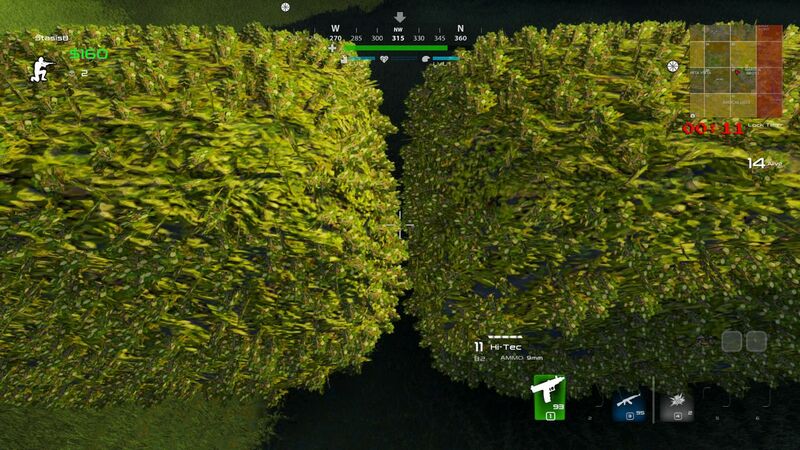 What if it added bush disguises and a silenced guns mode?